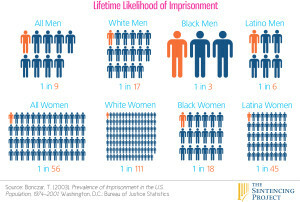 African Americans comprise only 12.6% of the population yet they are 37.1% of the prison inmates. 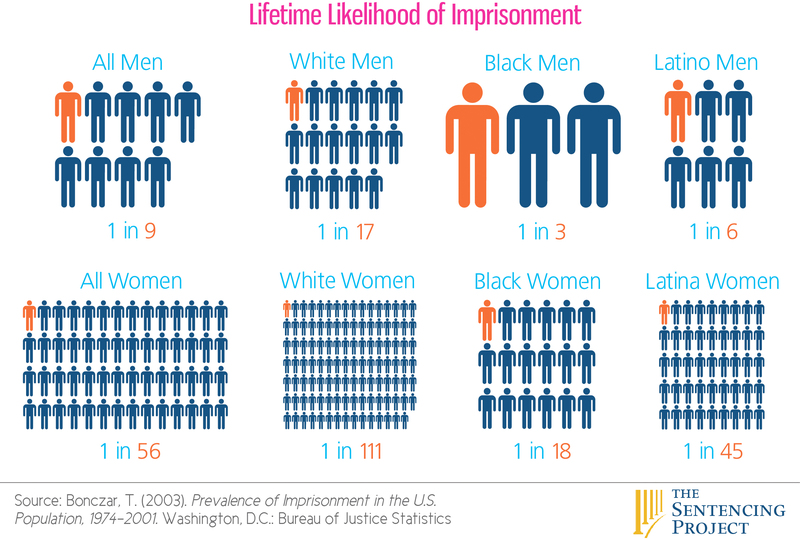 This infographic illustrates why their is such a big difference– because at every turn in the criminal justice system, African-Americans are treated harsher than white people. This website post is the best we’ve ever seen at illustrating the statistics behind the disparity in the ways black and white people are treated. Who gets stopped? Who gets arrested? Who is on the juries? All these questions and more are answered in an easy-to-understand graphic.